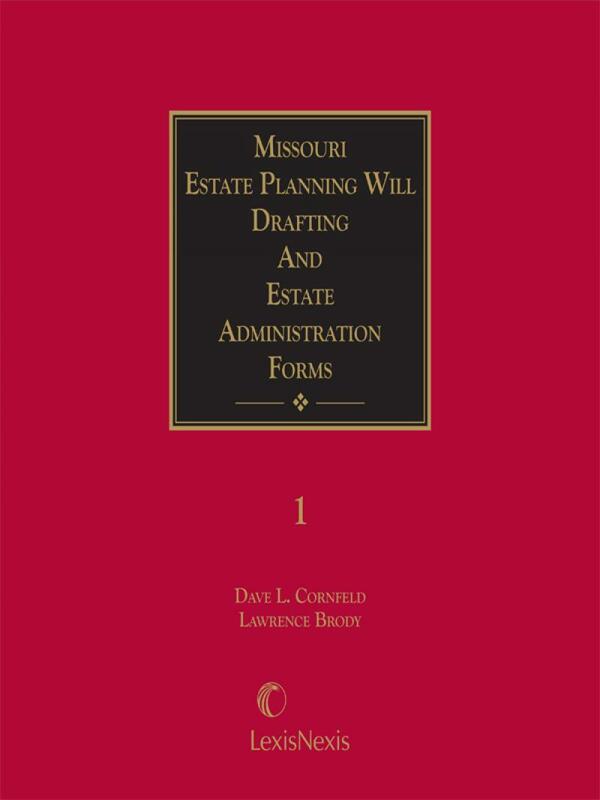 This complete resource for your Missouri estate planning and administration practice provides quick access to forms, checklists, and supporting text. 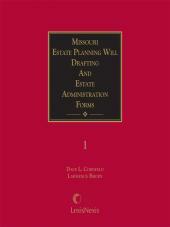 A complete resource for your Missouri estate planning and administration practice. Forms, checklists, and supporting text material are at your fingertips. 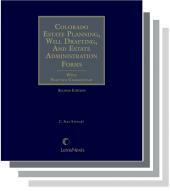 Extensive commentary and analysis of estate planning and estate administration issues refreshes your understanding of the tax, estate, and trust law environments in which you operate when you undertake representation in this area. The materials cover life and business planning situations and considerations that arise in contemplation of death. 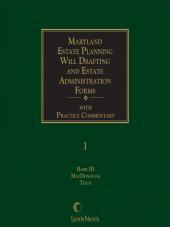 The commentary includes discussions of gift planning and charitable gifts, federal estate and gift taxes, and much more. Interwoven with the text material is a comprehensive set of forms, giving you a point of beginning as you initiate the drafting process. These sample forms include numerous alternative language options so that you can easily customize the document that best accomplishes your objective. 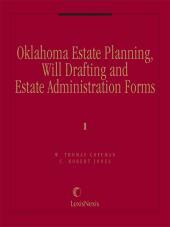 Probate basics are also explained. Dave L. Cornfeld, a partner in the St. Louis firm of Husch & Eppenberger, received his A.B. and law degrees from Washington University in St. Louis. He was formerly a Vice-Chairman of the Section of Taxation, American Bar Association, and Editor-in-Chief of The Tax Lawyer and an Adjunct Professor in the graduate tax program at Washington University in St. Louis. Mr. Cornfeld has published numerous articles in professional journals and appears as a lecturer and panel member at many tax institutes and continuing legal education programs. He is a Fellow and former Member of the Board of Regents of the American College of Trusts and Estates Counsel, a former Member of the Board of Regents of the American College of Tax Counsel, and a member of the Advisory Committee of the University of Miami's Institute on Estate Planning. Lawrence Brody is a partner in the St. Louis-based firm of Bryan Cave, a national and international law firm. Mr. Brody is a member of the Missouri, St. Louis, and American Bar Associations, is a member of the American Bar Association Section of Taxation, and is the former chairman of the Committee of Life Insurance of the American Bar Association Section of Real Property, Probate and Trust Law. He is an adjunct professor in the graduate tax program at Washington University School of Law in St. Louis, Missouri, is a fellow of the American College of Trusts and Estates Counsel, a member of the Board of Contributing Editors of the American Society of CLUs and CHFCs Keeping Current series, and a member of the Editorial Board of The Practical Accountant.